This 5 GALLON PAIL WARMER is specifically designed to assist the flow of viscous materials contained in high density, polyethylene plastic pails. This model is intended for standard 5 gallon pails with 11-1/4" diameter. 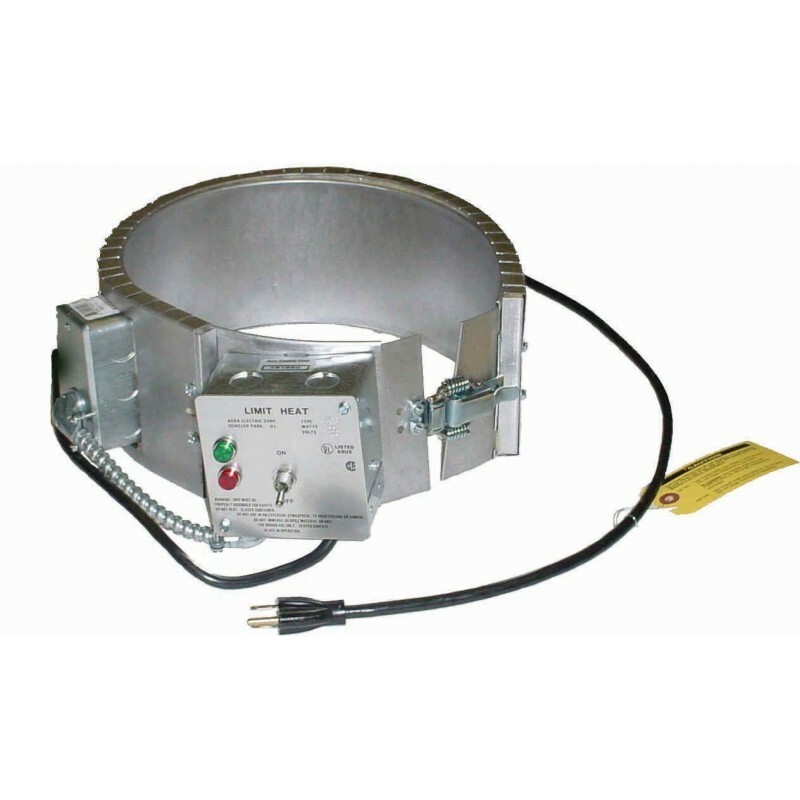 Constructed of rugged aluminum steel, the heating band is covered with an insulated shroud. A thermostat mounted directly on the heating band ensures heat delivered to the drum does not exceed 165°F. Equipped with a spring-loaded toggle clamp for snug fit, on/off indicator light, easily accessible on/off switch, 6 ft power cord and 3-wire plug for grounded operation.